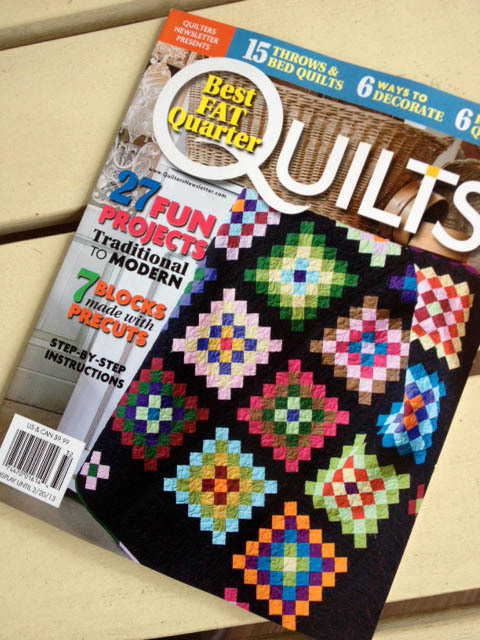 There are 27 projects in this issue! 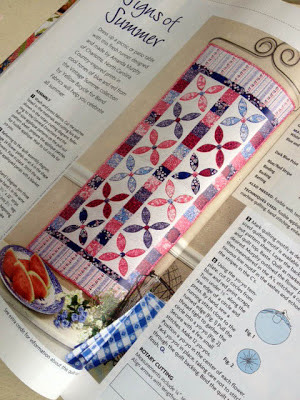 I used Blend Fabric's Vintage Summer line by Yellow Bicycle along with Aurifil threads to make up a fun wall hanging/table runner. QNM? Wow! Congratulations! I'll be sure to be on the lookout for it next time I'm at Barnes & Noble! Oh My, congratulations! I cannot keep up with you! Love this! Will keep my eye out for the issue. I just found out that your trunk show is at a local quilt shop! Hope to pop in there this weekend!